Puerto Morelos Blog: Tigres Baseball is Back! Opening Day is this Sunday! Tigres Baseball is Back! Opening Day is this Sunday! Opening Day is Sunday! Tickets are sold at the ticket booth in front of the Baseball Stadium. New this year, they will be playing some crossover games with teams from the Northern League. 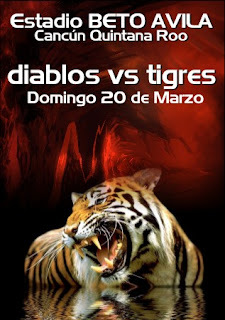 This series is with the Mexico City Diablos. Is going to be a good one! There is a large group of Puerto Morelians who are buying their tickets in Section 3 behind the home plate. 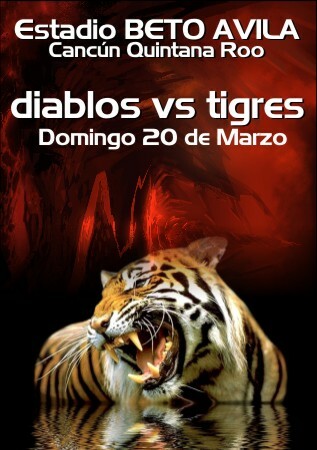 Come and join us in cheering on our Tigres!